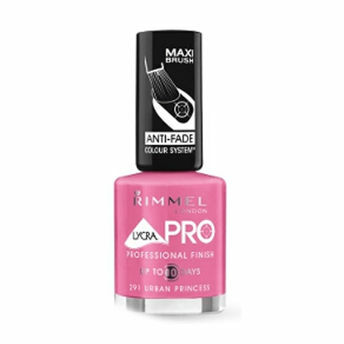 Give your nails a stylish, professional finish with Rimmel Lycra Pro Professional Finish Nail Polish. It comes in attractive, to-die-for colors - there's a color for every mood and occassion. The professional maxi brush offers easy and mistake-free application.